From the author of the 2017 Governor General's nominee in Non-fiction (third nomination), Where I Live Now, comes a new collection of short stories. But there’s another layer to this standard-setting example of “crone lit.” Not content to rest on her considerable literary laurels, Sharon Butala continues to push the boundaries of her art. The stories in Season of Fury and Wonder are all reactions to other, classic, works of literature that she has encountered and admired. These stories are, in their various ways, inspired by and tributes to works by the likes of Raymond Carver, Willa Cather, James Joyce, Shirley Jackson, Flannery O’Conner, John Cheever, Alan Sillitoe, Ernest Hemingway, Tim O’Brien, Edgar Allan Poe and Anton Checkov. 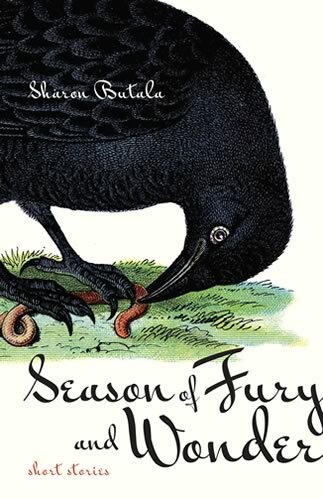 Launch of Season of Fury and Wonder, Shelf Life Books, 7 p.m. I don't think I would ever have believed it when, forty years ago, I set out to be a writer, but I've finally broken the twenty-books mark! That's twenty books published and one to go in 2020, never mind the ones I wrote and either destroyed (my true first novel which I'm guessing was awful), and the ones I gave up on and then plundered for parts I used elsewhere. Never mind the magazine and newspaper articles and the few poems and the five plays (all produced but unpublished except for one in an anthology - at least, as far as I can remember). Or the dozens of talks, some ponderous and dull and one or two successful in that people actually seemed to listening. I'm surprised my condo doesn't sink into the earth with the weight of all that paper. But I shredded a ton or two of it, and sent some to the U of Regina library archives; I can't trust computers and thumb drives and so on to keep records into posterity, and keep imagining a future civilization with no recorded past. Is this just the usual, boring longing for immortality? And still I get up most mornings and write - I can hardly believe it myself. At the moment I'm working on essays and at last I don't feel like a poseur, but instead, like somebody who has something to say and pretty much knows how to say it. I can hardly believe that either, but gosh it feels good. Sharon, now growing aged herself, thinks society fails the elderly massively, that there is no comprehensive 'handbook' for understanding the old and their psyches and needs, and further, that the old, because this is the first generation to live so long and to make up such a large percentage of society, are often struggling to define themselves and to find a way to live that is satisfying and fulfilling. In her work, she hopes to plumb this complexity of themes, issues and desires. 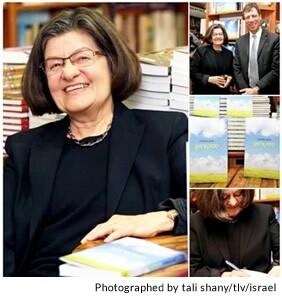 Sharon Butala is the author of twenty books of fiction and nonfiction, numerous essays and articles, some poetry and five produced plays. She published her first novel in 1984, Country of the Heart, which was nominated for the Books in Canada First Novel Award, followed closely by a collection of short stories, Queen of the Headaches (shortlisted for the Governor General's Award). She was born in Nipawin, Saskatchewan. After graduating from the University of Saskatchewan, she taught English in Saskatchewan, British Columbia and Nova Scotia. She eventually returned to Saskatoon, before moving near Eastend, Saskatchewan, to live on her husband, Peter Butala’s ranch. Since her husband's death in 2007 and after 33 years on the land, Sharon now lives and writes in Calgary, Alberta. In the last few years her interest has turned to the lives of aging people, and to the condition of being old in this society, and inevitably, to the issue of ageism and how it blights the lives of those advanced in years, but still very much alive and capable, and also, how society is greatly diminished by its unwillingness to accept aging and the aged. Beginning with a "Walrus Talk" on ageism in 2017, she is in demand to give talks on these subjects, which inevitably also touch on grief and loss, as well as on the richness of the inner lives of the thoughtful old, and the gifts they have to offer others and to society. Sharon’s books have been on the Canadian bestseller lists, including her memoir, The Perfection of the Morning, which reached #1 in July 1994 and remained on the list for over a year. 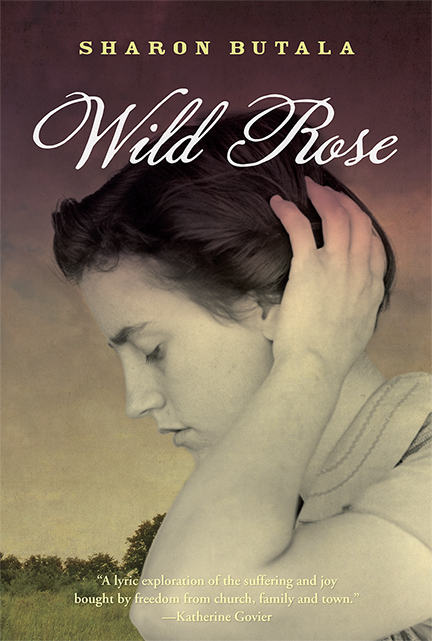 Most recently, Wild Rose was also on the bestseller lists. Sharon has read all over Canada and in the United States as well as in Mexico, the Czech Republic, and Ireland. She has been a guest at nearly every literary festival in Canada and some US festivals, as well as teaching literally dozens of writing workshops. Sharon has been a guest at the “Geography of Hope” conference on Wallace Stegner, at Point Reyes Station, California and presented at Speak to the Wild: a multi-disciplinary gathering dedicated to the politics and poetics of wilderness, at Wells Gray Provincial Park, BC. She has lectured at the 2017 "Nature Talks" series on the grasslands for the Nature Conservancy of Canada, 2017 Walrus Talks, the Edmonton Jung Forum, the Banff Centre for the Arts Book Discussion Weekend, the “Books ‘n’ Brunch” series in Toronto, the UBC and Hollyhock’s “Summer Speakers’ Series” in Vancouver, the Vancouver Institute, and was a keynote speaker at the narratology conference at St. Thomas University in Fredericton, New Brunswick, among other engagements. Sharon has also been a keynote speaker at the International Grasslands conference and delivered the inaugural annual lecture at University of Saskatchewan Creative Writing program. Lilac Moon on bestseller lists. Coyote's Morning Cry, Shortlisted, Sk.Book Awards "Book of the Year". 22 weeks on bestseller lists. Readers' Choice Award, Prairie Schooner, Lincoln, Nebraska for "Telling the Truth," and "Postmodernism." Sk. Gold Award for "A Change of Heart." National Magazine Awards: Silver for fiction, "Justice." Sk. Writers'Guild, Major Drama Award for "The Element of Fire." Canadian Fiction Magazine: Annual Contributors' Prize for "The Prize." Season of Fury and Wonder - out on May 1st, 2019 - is a collection of short stories in which each protagonist is an old woman, each aged between seventy to one hundred. A theme is how the past infiltrates and informs the present whether wanted or not; another is how unconscious ageism blights the lives the old, and a third is what becomes of the dreams and desires of youth and how such longings transform and provide insight, even wisdom, in old age. ALSO, each story is a response to a 'great' short story or literary work of the 19th-20th century, from that of Hemingway, Munro, Carver, Joyce, Flannery O'Connor, Edna O'Brien, Chekhov, Poe and others. Zara's Dead, Sharon's new novel, published in May, 2018. This is a mystery with Fiona, the protagonist, now seventy, still angry at the unsolved murder of a young woman with whom she once went to school many years earlier. Zara had been a beauty queen, a promising young woman who dreamt of great things for herself, all snatched away in a few savagery-filled moments, followed by an investigation that almost immediately stalled, then failed. Fiona wants to know why, and she still wants to know who did it. This latter information, when she finally finds it, will alter not only the lives of others, but her own life forever. 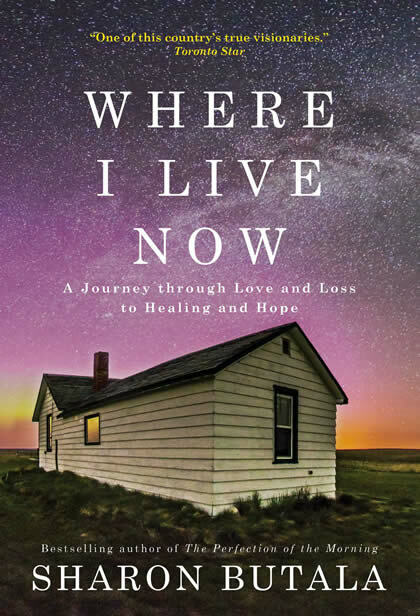 Where I Live Now, Sharon's latest memoir, published in April 2017. 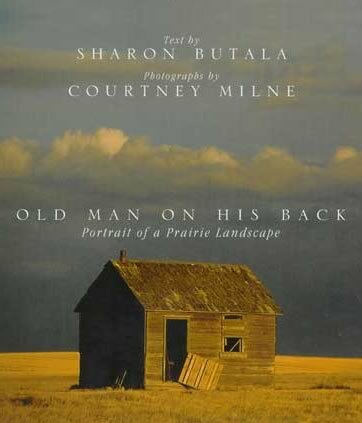 This memoir is about a life lived on the land in southwest Saskatchewan, both idyllic and difficult and which, after 33 years, ended with the death of Butala's husband. 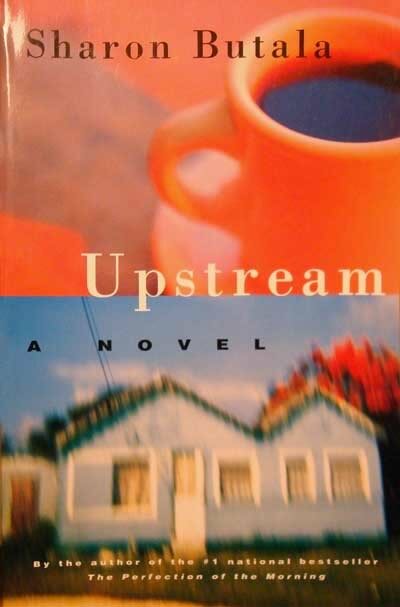 The book goes on from there to follow her through her grief, sorrow and many losses as a new widow, to her struggles to make a new life in the city. As well as offering solace and hope, this book inspires others making the same difficult but ultimately joyful journey. Wild Rose is available in bookstores. 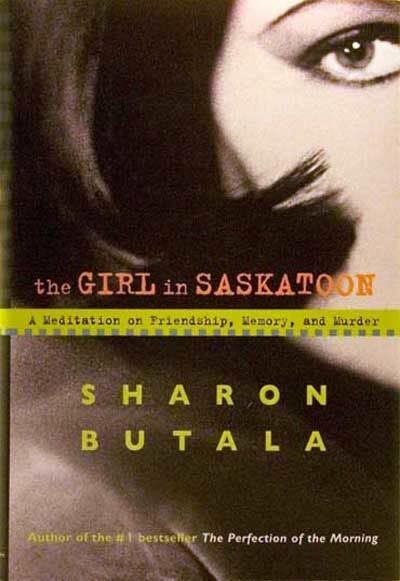 The Girl in Saskatoon: A Meditation on Friendship, Memory and Murder (HarperCollins, 2008), a nonfiction work about, among other things, the unsolved murder in Saskatoon, back in 1962, of a young woman with whom Butala attended high school. It was an event that shook the city to its core and which no one has been able to forget. Butala probes the background to this fact, and in this book, also examines a forward-looking pioneer society. Billy Bock: An Entertainment - One act, an adaptation for stage of humourist and songwriter Billy Bock’s material. Directed by and with Gabe Prendergast as Billy Bock. Production March 5/94, Eastend, Sk. Rodeo Life - Three acts, Commissioned by and produced at Twenty Fifth Street Theatre Centre in Saskatoon, Feb. 4-18/93. Direction, Tom Bentley-Fisher. With Sharon Bakker, Rob Roy, Karen Turner, Beata van Berkom, Carol Greyeyes. Published in 2005 by Playwrights’ Union of Canada and Theatre Saskatchewan, Theatre Saskatchewan Anthology, Write On. A Killing Frost - Written with Sean Hoy. One Act. Produced in workshop, Regina, Spring, 1988. Vancouver Fringe Festival, Fall 1988. Director, Donna Peerless, with Sean Hoy and Karen Austin. Victoria Fringe Festival, 1988. “Emerging Artists 1988” Festival, White Rock, B.C. Natural Disasters - Two acts. Staged reading, Regina and Saskatoon, 1985. Medicine Hat College Drama Department, November 1985 (or ‘86?). Director, Bob Mumford, student cast. Saskatchewan Writers Guild Major Drama Award, 1985. Sweet Time - Three-act pageant-play. Produced by the people of Eastend, Summers of 1984 and 1989. First production with Gordon Tootoosis. Director, Andy Tahn. Cast, people of Eastend. When Sharon Butala’s husband, Peter, died unexpectedly, she found herself with no place to call home. Torn by grief and loss, she fled the ranchlands of southwest Saskatchewan and moved to the city, leaving almost everything behind. Out of this hard-won new existence comes an astonishingly frank, compassionate and moving memoir that offers not only solace and hope but inspiration to those who endure profound loss. In 1961, a country singer named Johnny Cash chose a beautiful young woman named Alexandra Wiwcharuk to be his "Girl in Saskatoon" and sang to her in front of a hometown crowd. A few months later, Alex was found brutally murdered on the banks of the Saskatchewan River. Sharon Butala's high school friend Alex had dreamed of becoming a glamorous stewardess; she had been crowned a beauty queen in local pageants; she was a nurse. Her killing brought an entire city to a stop. Why was Alex's murder so haunting? And why did Butala return some forty years later to reconstruct Alex's life and search for answers? Butala faces the horror of these long-ago events to create a lyrical portrait of a world where life appeared so much simpler, when young country girls like Alex came to the city and dreamed their dreams of love and marriage as life stretched before them. The Girl in Saskatoon is, at once, an in-depth investigation of an unsolved murder, a nostalgic coming-of-age story, an eloquent meditation on the nature of good and evil, and an affirmation of the true meaning of a life. 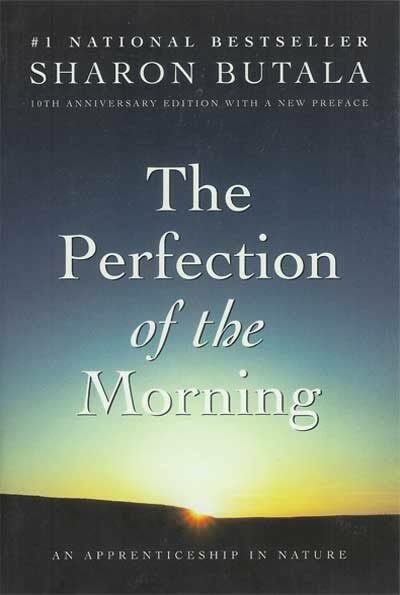 From the author of the much-loved The Perfection of the Morning comes a unique vision of the West. Sharon Butala challenges stereotypes and myths, not just those held by Canadians from the East, but those held by Westeners themselves. From the pioneer past to party politics, from rural legends to urban realities, Butala blends her own experiences with the great themes of Western life. In this new collection of ten stories, Sharon Butala once again demonstrates why she ranks among our finest short story writers. Her unforgettable style - spare but intense, indelible in its drawing of character - brings these stories to life in quiet but powerful ways. 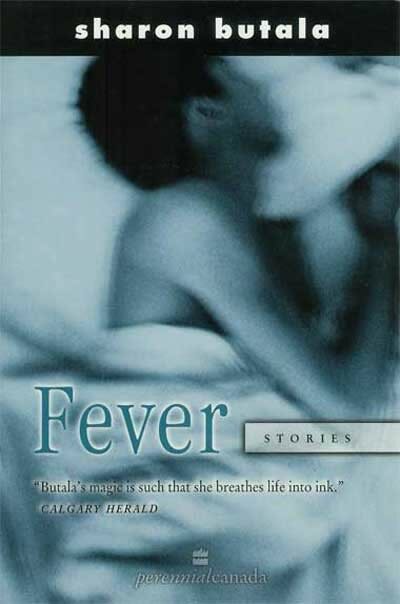 Real Life resonates with the same authenticity and strength that characterized her last award-winning story collection, Fever. Set in western Canada, familiar Butala territory, these stories of women in moments of crisis - a dying sister, a failing marriage, a love lost, a random act of violence that changes a life forever - are compelling and unsentimental. Yet there are threads of common experience that reach from story to story and create a web of universal experience: the pain of losing love and the sense of personal failure that accompanies it; the ways in which poverty can destroy the human spirit; the reality and demands of death; the joy that children can bring. Butala's women are scarred but resilient. They face what the future brings with both wisdom and hope, recognizing in other women and the men in their lives the challenge of finding and keeping happiness. 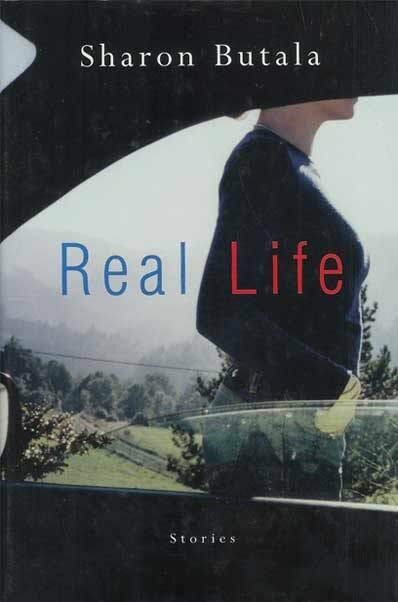 Critics have found in the writing of Sharon Butala a steady light that both uncovers and illuminates human experience. Real Life captures well the emotional risks that we must face as part of loving. What is real about these stories is Butala's unwavering faith in the ultimate goodness of the human heart. Iris, a farmer's wife living comfortably near the small town of Chinook, finds her life suddenly out of control. Jolted out of her complacency by death, grieving for lost love, guilty over an aging mother, she sets out on a quest for self-understanding. If only she can find her niece Lannie, whom she once raised, perhaps she will be able to understand her troubling dreams, the mysterious ache in her heart. But does Lannie want to be found? Or is Iris the one who is really lost? The Garden of Eden is brilliantly imagined novel of family disintegration and renewal written in the simple but powerful style that so endears her to her readers. Grounded in the prairie landscape that Butala has made very much her own, it is at the same time a universal story interweaving history, myth, dream, and vision. It explores with passion and insight the inextricable relationship between the land on which people live and their secret inner landscapes. 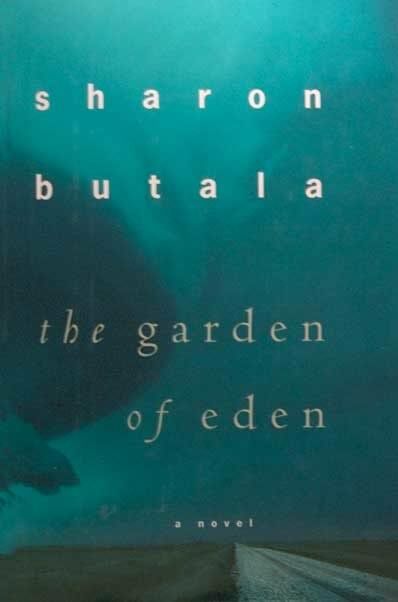 Sharon Butala's clear-eyed rendering of the lives of ordinary people, her profound respect for what the land can teach, and her remarkable ability to capture the inner life, make The Garden of Eden a novel of great richness and compassion. The Garden of Eden is a sequel to her first novel Country of the Heart published in 1984. In 1976, Sharon Butala left a promising academic career to marry a cattle rancher in southwest Saskatchewan. Overwhelmed by the isolation of her new life, she struggled to find a connection with the land that encircled her. What could she learn from ancient wisdom that would enable her to make the land her own? Would she ever find a place for herself in this new, selfsufficient community? Would she have the courage to translate her personal crisis into words on a page? In The Perfection of the Morning - at once a meditation on the world of nature and a personal exploration of the roots of creativity - Butala embarks on a spiritual journey, seeking to define herself as a woman and as a writer. Through history, dream, vision and the reality of everyday life, she creates a rich portrait of her outer landscape - the southwest corner of Saskatchewan near the Montana border - and her inner one, the world of artistic imagination. Evocative and moving, remarkable in its honesty and insight, this book is a revelation of self and an affirmation of the healing power of Nature. Infused with the richness and clarity of theme that so characterizes Butala's writing.The Perfection of the Morning continues, ten years later, to echo in the mind and heart. In a seemingly ordinary field on Sharon Butala's land in southwest Saskatchewan lie the secrets of the past. When she and her husband, Peter, decided to let the field return to its natural state, the wonders of the prairie landscape began to reveal themselves to her. Over a twenty-year period, as she walked this field, she tried to understand what lessons could be learned from its mysterious markings, its wildlife, grasses and plants, its massive rocks and boulders deposited there as the glaciers retreated. The field became a tabula rasa on which she could project her own dreams and imaginings about the landscape that has informed her writing and inspired her life. 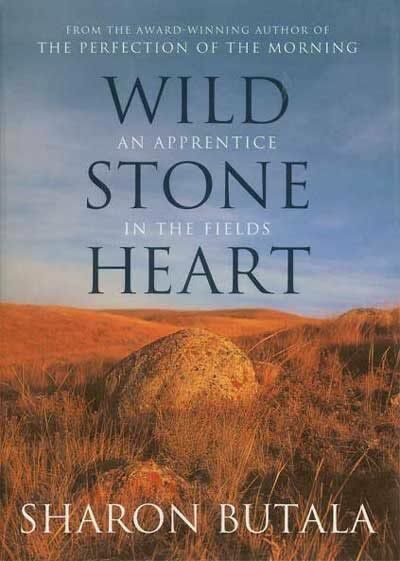 Wild Stone Heart is the brilliant companion volume to The Perfection of the morning, a resonant and deeply moving exploration of both past and present. Butala travels back in time as she wanders the field; from the dinosaur period and the Ice Age, to the more recent life of the Amerindians and the arrival of the settlers. Her keen intelligence ranges over prehistory, natural history, Amerindian custom, the farming and ranching ways of life, and the politics of the West today. We discover with her the animals and plants that live in the field, the mysterious stone remnants of the nomadic way of life, the ghosts and visions that come to her in her wanderings. Wild Stone Heart is also filled with touches of Butala's wry humour as she watches Nikon-laden tourists pouring into the tiny town of Eastend in the wake of the discovery of a T-Rex skeleton. It captures brilliantly the collision of past and present and one woman's search for her own place in the world. Without excessive show or ornament,Sharon Butala has created a collection of highly charged, emotional stories that delve into the secret lives of men and women. As Butala skillfully peels back her characters' defenses, she compels the reader into a world of vulnerability, revealing both strengths and frailties of the human spirit. This now classic work is infused with an intensity that often catches its readers off-guard, making Fever an honest and powerful experience. In the prairie town of Ordeal, on the eve of the millenium, members of the dwindling farming community brace for a rally planned to coincide with the provincial premier's visit. Broken by years of drought and government indifference, this is their last-ditch effort to save what's left of their town and way of life. But strange and fantastical visitations - far more momentous than that of the premier - are already taking place, drifting like wisps of fog in and among the townspeople. As the community wages its mortal struggle for survival, history slips its moorings, emerging to signal the imminence and inevitability of change, and an end to life as we know it. The Fourth Archangel is Sharon Butala's deeply moving and mournful elegy to a land and a way of living that have all but disappeared. Yet she brings both to vibrant, memorable life giving strong and enduring voice to our eternal, passionate struggle to live with the land, to be true to it and to love it. 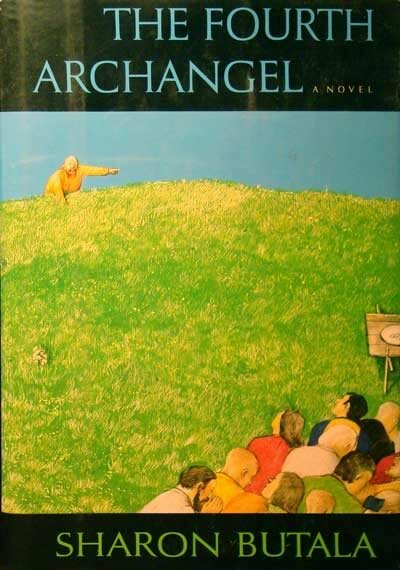 The Fourth Archangel is the third of a loosely-connected trilogy about rural life. The first is The Gates of the Sun, and the second is Luna. This one is located mostly in the town and is set in what was then the future - the year 2000. Selena knows the meaning of sacrifice. After twenty years on her husband Kent's Saskatchewan ranch, the rhytms of children, family and tradition are bred in her bones. The women around Selena all contend with the conventions that surround them: her aunt Rhea endures change with an almost mystic wisdom, her married sister Diane harbours a lingering wish for a different life in the city, and Phoebe, Selena's daughter, faces a choice that might force them all to reconsider the beliefs they have always known. 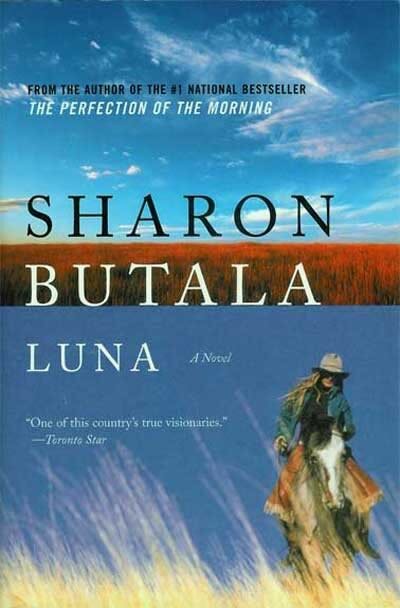 Infused with Sharon Butala's singular ability to communicate the textures of rural life, Luna is a remarkable and compassionate novel that moves beyond the life of a prairie woman to capture what it means to be female in the modern world. 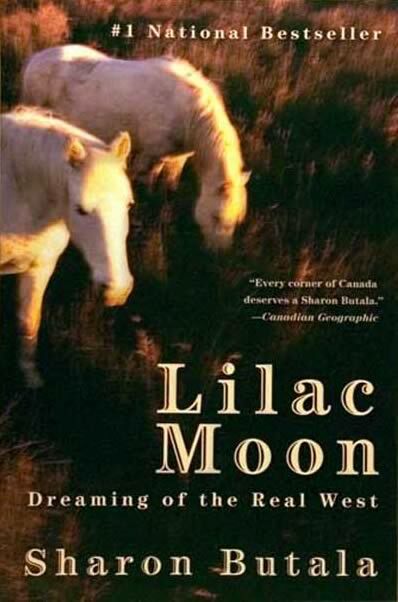 Luna is the second of a loosely-connected trilogy of novels about rural life. This one is the women's story and takes place in what was then the present. Luna is constructed as a modern version of the Greek women's mysteries. Outlaw, rancher, lover, father ----- this powerful portrait of a fiercely independent cowboy brings alive the vastness of the prairie life. 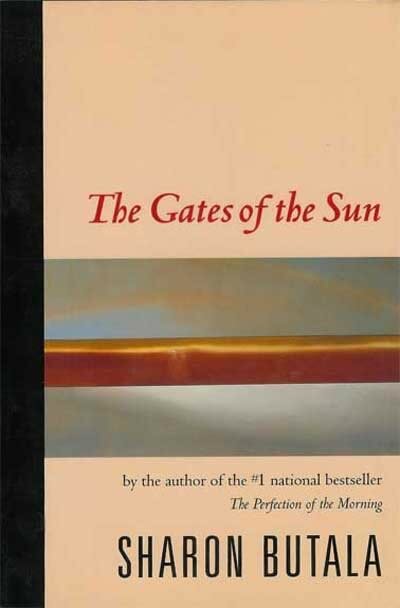 The Gates of the Sun is the first of a loosely-connected trilogy of novels about rural life. This one is the male story, the settlement story and takes place in the past. Iris, seemingly happily married to Barney, a rancher-turned-farmer, has surprisingly fallen in love with Jake, an old man who still radiates the power of the legendary cowboy he once was; Lannie, Iris's troubled niece, judges Iris for her weakness nearly as harshly as she judges herself. Set in a beautifully realized prairie landscape, and presenting the heroines of Butala's acclaimed novel The Garden of Eden for the first time, this novel rings with passion and authenticity. One night, in the first year of their marriage, Doug suddenly turned to Chloe and said, "I don't know what would have happened to me without you. You brought my life in from chaos." Four years later, chaos threatens to engulf Chloe herself when she realizes that her husband is in love with another woman. Rather than join Doug on an academic sojourn in Scotland and try to win back his love, she returns to Saskatchewan, the land of her French- and Anglo-Canadian ancestors. Ironically, Chloe's avoidance of the present forces a confrontation with the past. Amid the deeply riven conflicts of language and culture, faced with ancient hostilities and personal loss, Chloe explores the unfamiliar terrain of her own psyche, and finds an independence she has never known. The Old Man On His Back Prairie and Heritage Conservation Area (OMB) is a 13,OOO-acre preserve established by the Nature Conservancy in cooperation with a number of partners, among them the land donors, Peter and Sharon Butala. In this beautiful pictorial tribute to the OMB, Sharon Butala and Courtney Milne combine their talents to explore the grasslands that are the essence of their home province. Sharon Butala's insightful narrative not only describes her personal landscape, a landscape that her many readers delight in, she considers the intersection of the past and the present on the OMB. She takes us back to prehistory, when glaciers scraped the soil from the land, and describes the various ways of life that have tried to take root: from Aboriginal hunters and gatherers to ranchers, settlers, and today's farmers. With her far-ranging vision and questioning mind, she raises important and challenging questions about the meaning and value of land. Photographer Courtney Milne roamed the hills of the OMB in all seasons. His stunning colour photographs of the OMB capture its delicacy, its subtle shadings and its drama: from misty morning hills to fiery sunsets, from lightning storms to delicate spring flowers. Together, Butala and Milne have created a portrait of the natural world that is both reflective and inspirational. The OMB is the Nature Conservancy of Canada's flagship grassland project and, thanks to its wise stewardship, this area will be preserved for all Canadians. Old Man On His Back captures the essence of a priceless part of our country. This happy blend of image and text will delight all those who care about our natural heritage. Coyote's Morning Cry is a collection of brilliantly simple, yet profound meditations that explore our need to understand and be true to ourselves. In her deeply moving The Perfection of the Morning Butala began a process of self-awareness that took readers into her daily life as a rancher's wife and struggling writer in southwest Saskatchewan. Now, in Coyote's Morning Cry, she revisits that familiar landscape and journeys beyond it, searching for meaning not only through the natural world but through the world of dream and vision. These short meditations offer new meaning to ordinary experience and range over areas that inform all of Butala's work as a writer: the power of Nature to heal and transform, the wisdom of dreams, the deceptions of success, the changing nature of love. 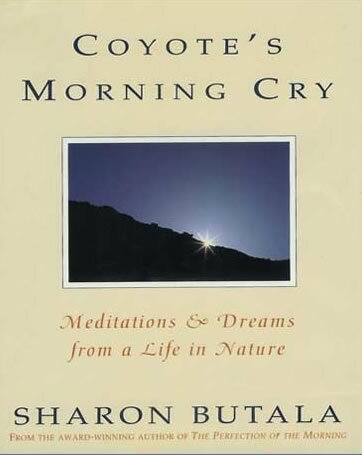 Written with Sharon Butala's characteristic clear eye and scrupulous honesty, Coyote's Morning Cry will inspire, challenge and comfort people of all ages. SHARON BUTALA first attracted national attention in Oberon's short story collection Comming Attractions. 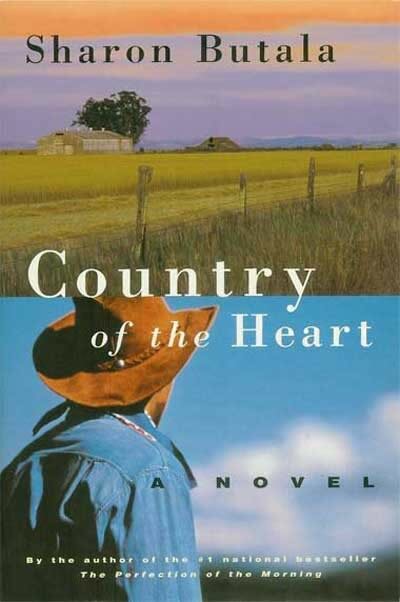 She followed this with Country of the Heart, a finalist for the Books in Canada First Novel Award for 1984. 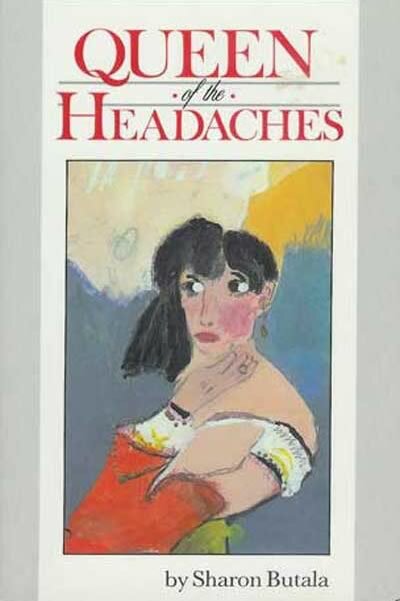 In QUEEN of the HEADACHES, Butala returns to short fiction with this bold and striking collection. The people in these stories are familiar - the friends, neighbours, relatives of our everyday life. Sharon Butala reminds us that each is remarkable and unique. This is the second book in her first collecdtion of short stories. Currently out of print, rights reverted to the author. Harvest follows one family, Henry and Frieda Peters and their children, who farm near Hanley, Saskatchewan. The outstanding photographs by Todd Korol record one harvest on the Peters's farm, from the start-up to the final, satisfying days of loading the bins and seeing the fields of stubble. 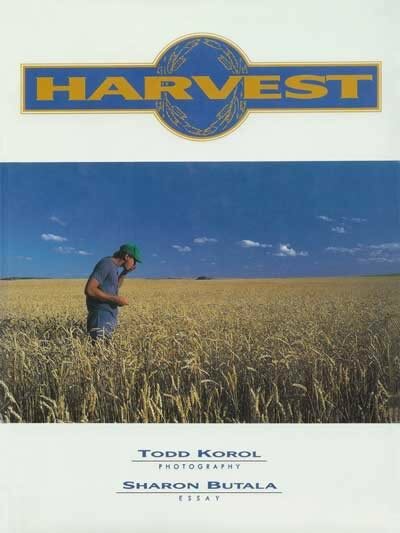 The popular essay by awardwinning writer Sharon Butala looks at the significance of the harvest throughout history and at the role of the family farm as a vital element of the culture, economics, and history of the Canadian prairies. Together, the photographs and essay are a beautiful and lasting tribute to the prairie harvest, the powers of nature, and the hardworking people who farm the land.